I could "bearly" contain the giggles when looking through these shots. Miss Kate came to see me as I was packing for my vacay over a week ago....she had just turned 12 weeks old. 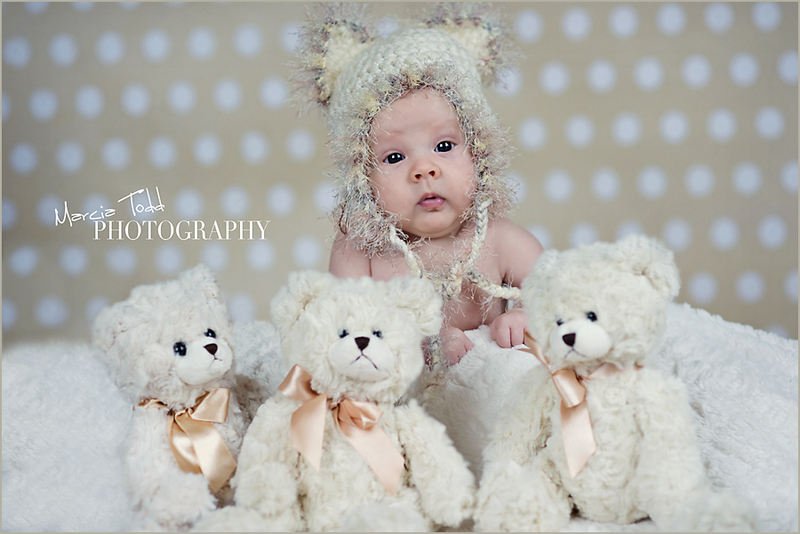 I had to post this pic to show how adorable she looked in her bear hat with the 3 little bears. Thanks Kay for the bear hat, it's perfect and you're awesome! There will be more of Miss Kate soon so keep checking. Special Session..Just Cuz I Can.